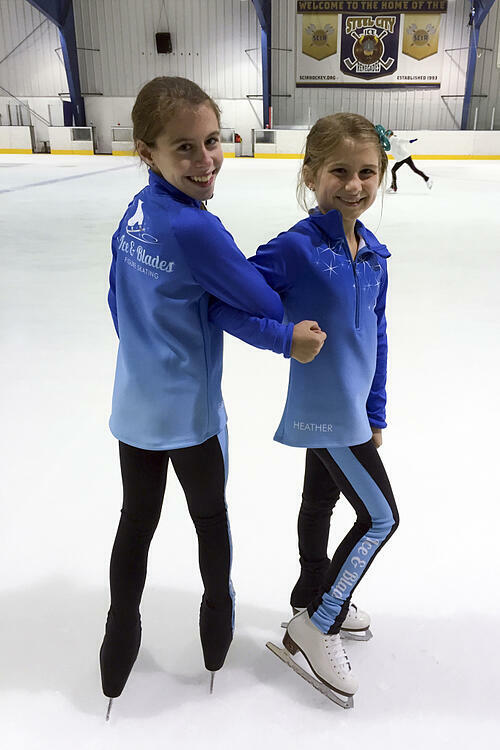 When it comes to synchronized skating practice wear it’s easy to get stuck in a rut. Black skate dress, black jacket, embroidered logo. Looking for something new to shake things up? How about trying mix and match pieces instead!? Look #1: A detachable skirt over a leotard has the grace and elegance of a classic skating practice dress look. Look #2: Leggings over a leotard gives a more streamlined look, emphasizing legwork. Shown above: Slouchy Tank 6, Pathway Jacket with Vinyl Lettering, 420-236 Bra with City Track Warm Up Pant with Vinyl, Infinity Scarf with Lettering, and the Arena top. When it comes to the hard work and dedication found in the dance and synchronized skating world, we know that you spend the majority of your time training and practicing for only a few brief and exciting moments of performance. So why not spend that time practicing in style? Look great, feel great, and you'll perform great! With this mantra in mind, we got to work designing some fabulous new team apparel, perfect for sporting your team pride at practice, camps, and team events throughout the season. It's practice wear that's meant to move with you, withstand numerous washings, yet still be flattering and fashionable. 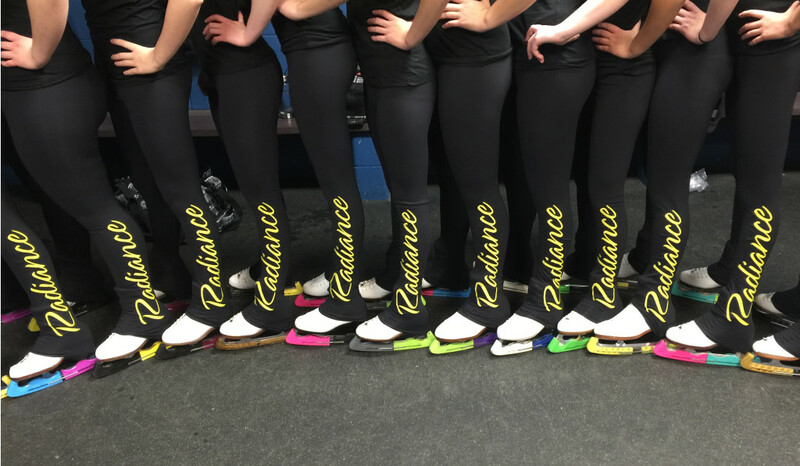 The first time I attended a Synchro Nationals competition, I remember being struck by 3 things: how bright colors transformed and popped on the ice, the way a fluttering skirt seemed to increase a skater’s velocity, and – most significantly - all of the matching team apparel. It seemed there was an unwritten rule that jackets, scarves, luggage, and even socks must coordinate - team spirit in full representation! We've helped the Ashwaubenon Jagauress Dance Team create their competition costumes for over 5 years now, but we got started designing a litter earlier this year with the team's new warm-ups! This year, Ice & Blades Figure Skating club president, Joyce, wanted her skaters "to feel and train like athletes, so they need to look like athletes." She went on to say that she wants to have a more unified team exuding TONS of team pride. Her solution? Warm-ups to give the Ice & Blades a unified look. Keeping her intent in mind, The Line Up designers were up for the challenge of designing warm ups for the skaters!